Since Donor Egg Bank USA’s inception in 2012, quality has been our main objective. Oocyte cryopreservation, however, remains a human endeavor, and even the most experienced fertility teams cannot perfectly predict every facet of the process. To reinforce quality standards, DEB USA has designed a proactive and diligent monitoring system, recognizing network leaders in oocyte cryopreservation and warming. 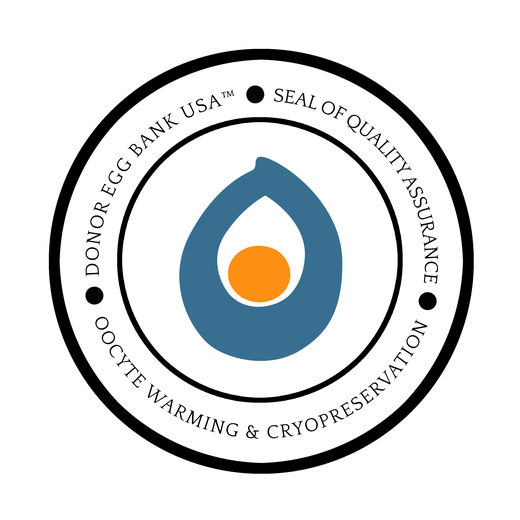 The Donor Egg Bank USA™ Seal of Quality Assurance is awarded to embryologists and fertility practices with demonstrated success in oocyte cryopreservation and have completed our extensive training program. Embryologists complete ten (10) oocyte freezes quarterly and must achieve an 80% survival rate of practice eggs, with no evidence of chill injuries. In the warming of DEB USA sourced eggs, network embryologists must maintain an 80% or better survival rate excluding known sub-optimal freezes. Continued receipt of the Seal requires that network embryologists undergo a quarterly review to ensure they can consistently demonstrate excellent vitrification technique. With these routine competency assessments in place, we are able to proactively monitor adherence to our protocol, reinforce client expectations, and share knowledge among an elite network of fertility specialists and practices. The Donor Egg Bank USA™ Seal of Quality Assurance represents a standard of excellence that we are proud to put our name on. As we recognize network leaders in oocyte cryopreservation, DEB USA will continue to press toward the mark of superior quality, and strengthen our network practices in order to achieve our mission of fulfilling dreams and delivering joy to our clients.